Yamate Gakuin was founded in 1966 as a private boys’ boarding school, in what was then the outskirts of Yokohama. Girls started attending in 1969. In the early days students came from all over Japan and almost all were boarders, but this balance gradually changed over the years and boarding was discontinued in the late 1980s. These days students come from all over Yokohama, as well as from southern Tokyo and nearby cities in Kanagawa Prefecture. Yamate Gakuin is located only 10 minutes from Konandai train station and shopping centre but has been fortunate in maintaining its semi-rural appearance. It has a large, green campus with over 7,000 trees and shrubs, and has hills, farmland and designated green areas on two sides. It takes around 25 minutes by train from Konandai to central Yokohama and about an hour to central Tokyo. There are around 600 students in the junior high and another 1,400 in the senior high. The average class size is around 38. Classes run from 8.50 to 3.35, Monday to Friday. 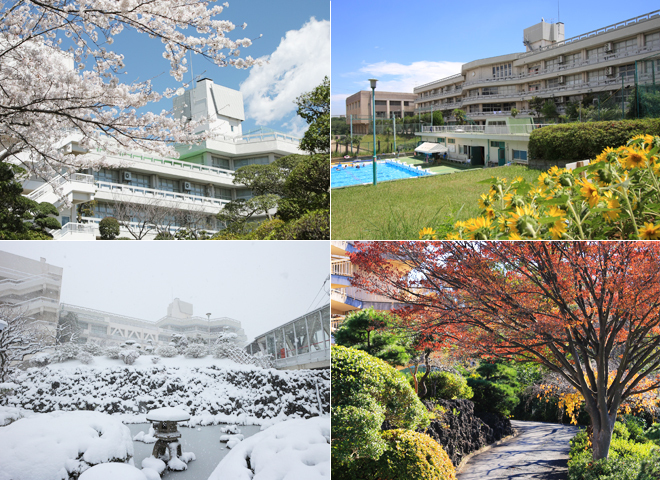 The Japanese school year is from the beginning of April until mid March, with summer holidays in late July-August, winter holidays in late December-early January, and spring holidays at the end of the school year in March. Extra-curricula activities, such as sporting and cultural activities, are held after school, on weekends and in holidays and many students come to school on days other than regular class days. 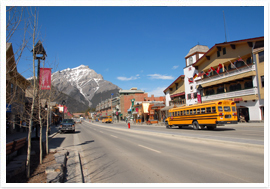 Every April the entire Grade 11 class travels to North America for two week homestays. Students are split up into a number of groups, which travel simultaneously to host cities in the United States and Canada. Students are put into pairs and stay with host families for two weeks and on weekdays, they spend time at school or sometimes go on excursions or do other outdoor activities. In late July students and chaperones from the school districts visited that April, come to Japan for a reciprocal two week homestay. They are hosted by Yamate students and their families. The programme started with a visit to Dayton, Washington in the United States in 1969, and has continued for 50 years. Edmonton in Alberta province, Canada joined the programme in 1987. Our current exchange partners are Dayton, Walla Walla, Yakima and Pasco in Washington State, Chatlotte in North Carolina State, Edmonton, Calgary, Red Deer and Medicine Hat in Alberta province, Saskatoon in Saskatchewan province, and also Victoria in British Columbia province. In 2016, our school formed new student exchange partnerships with Ottawa and Kitchener (Waterloo) s in Ontario, along with Nova Scotia school districts, Elkhart and Fort Wayne in Indiana State which are joining the two-week exchange in April, 2017. Japanese schools have a trip for students in Grade Nine. 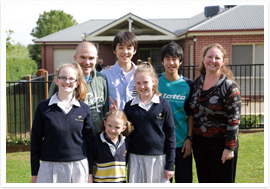 Since 2002 Yamate has taken its Grade Nine classes to Australia for a five day homestay in November, to one of either Melbourne, Sydney or the Gold Coast. 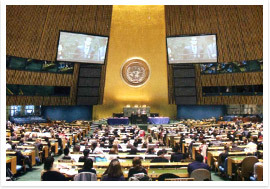 Since receiving its first invitation in 1993, Yamate has sent students every year to the United Nations International School Student Conference, held in the General Assembly Hall of the U.N. and attended by distinguished speakers from various fields. Yamate is one of only four Japanese schools invited to attend. 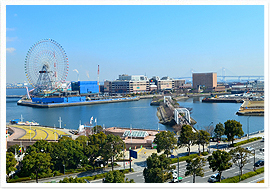 Yokohama was one of the first ports opened to overseas trade when Japan’s isolation from the rest of the world was ended in the 1860s, and was the site of one the earliest foreign settlements. Today it has large Chinese and Korean communities and its Chinatown is the biggest in Japan. Situated next to the capital, Tokyo, Yokohama is Japan’s second largest city, with a population of around 3,700,000. Like most big cities in Japan, it is well served by its public transport system of trains and buses, and the majority of journeys are made by public transport rather than private car.